SPUC has been warning that what politicians in New York have done is very much what the abortion lobby here is attempting to achieve. Now, that has been confirmed beyond all possible doubt – from the mouth of Britain’s top abortion provider. “New York State has just signed into law an abortion-rights bill that is close to what many of us have been campaigning for in the UK. The Reproductive Health Act (RHA) removes the need for a doctor to perform some abortions, and takes abortion out of the criminal code, making it a public-health issue. She is referring to the campaign to decriminalise abortion – to remove it from the criminal law. (When describing abortion as “safe” she does not mention the doctor who was recently struck off for endangering women’s lives at a BPAS clinic, or the 11 women who were transferred for emergency hospital treatment after suffering serious injuries in a three-month period at the same clinic). Ms Furedi says the “numbers are tiny” for these types of abortions. But a recent parliamentary question revealed that nearly 15,000 babies that were over 20 weeks gestation have died by abortion in the last five years, and a casual look at the abortion statistics shows that the majority are not for “serious abnormalities”, however the term is defined. This “obvious and humane” provision has led to heartbreaking stories of babies being born alive during abortions and left to die. The RHA in New York has rightly caused outrage. However, it also serves as a reminder that the provision that has sparked the most heated debate – late-term abortions – already happens on a large scale here in the UK. 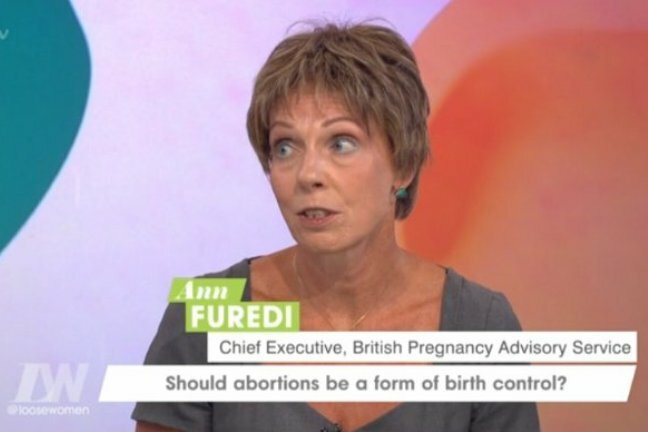 As the other provisions in the bill, Ann Furedi and her allies in Parliament have made it clear that they are determined to go to any lengths (including hijacking a domestic abuse bill) to impose an equally extreme abortion regime here.